In order to clear away the suffering of limitless beings, through the wisdom [realizing] the purity of the three spheres, to dedicate the virtue attained by making such effort for enlightenment is the bodhisattvas’ practice. In brief, whatever conduct one engages in, one should ask, “What is the state of my mind?” Accomplishing others’ purpose through constantly maintaining mindfulness and awareness is the bodhisattvas’ practice. When disturbing emotions are habituated, it is difficult to overcome them with antidotes. By arming oneself with the antidotal weapon of mindfulness, to destroy disturbing emotions such as desire the moment they first arise is the bodhisattvas’ practice. Because harsh words disturb others’ minds and cause the bodhisattva’s conduct to deteriorate, abandoning harsh speech that is unpleasant to others is the bodhisattvas’ practice. Because the influence of gain and respect causes quarreling and the decline of the activities of listening, pondering and meditation, to abandon attachment to the households of friends, relations and benefactors is the bodhisattvas’ practice. If, influenced by disturbing emotions, one points out another bodhisattva’s faults, oneself is diminished. Therefore, not speaking about the faults of those who have entered the Great Vehicle is the bodhisattvas’ practice. If, having [merely] the appearance of a practitioner, one does not investigate one’s own mistakes, it is possible to act contrary to the Dharma. Therefore, constantly examining one’s own errors and abandoning them is the bodhisattvas’ practice. If one lacks wisdom, it is impossible to attain perfect enlightenment through the [other] five perfections. Thus, cultivating skillful means with the wisdom that does not discriminate among the three spheres is the bodhisattvas’ practice. Having understood that disturbing emotions are destroyed by insight possessed with tranquil abiding, to cultivate meditative concentration that perfectly transcends the four formless [absorptions] is the bodhisattvas’ practice. Even hearers and solitary realizers, who accomplish only their own welfare, strive as if putting out a fire on their heads. Seeing this, taking up diligent effort – the source of good qualities – for the sake of all beings is the bodhisattvas’ practice. To bodhisattvas who desire the wealth of virtue, all those who do harm are like a precious treasure. Therefore, cultivating patience devoid of hostility is the bodhisattvas’ practice. If, lacking ethical conduct, one fails to achieve one’s own purpose, the wish to accomplish others’ purpose is laughable. Therefore, guarding ethics devoid of aspirations for worldly existence is the bodhisattvas’ practice. If it is necessary to give away even one’s body while aspiring to enlightenment, what need is there to mention external objects? Therefore, practicing generosity without hope of reciprocation or [positive] karmic results is the bodhisattvas’ practice. Diverse sufferings are like the death of a child in a dream. By apprehending illusory appearances as real, one becomes weary. Therefore, when encountering disagreeable circumstances, viewing them as illusory is the bodhisattvas’ practice. When encountering pleasing sense objects, though they appear beautiful like a rainbow in summertime, not to regard them as real and to abandon clinging attachment is the bodhisattvas’ practice. Appearances are one’s own mind. From the beginning, mind’s nature is free from the extremes of elaboration. Knowing this, not to engage the mind in subject-object duality is the bodhisattvas’ practice. However much sense pleasures are enjoyed, as [when drinking] salt water, craving still increases. Immediately abandoning whatever things give rise to clinging and attachment is the bodhisattvas’ practice. If outer foes are destroyed while not subduing the enemy of one’s own hatred, enemies will only increase. Therefore, subduing one’s own mind with the army of love and compassion is the bodhisattvas’ practice. Though one may be famous and revered by many people or gain wealth like that of Vaishravana, having realized that worldly fortune is without essence, to be unconceited is the bodhisattvas’ practice. Though one may have an impoverished life, always be disparaged by others, afflicted by dangerous illness and evil spirits, to be without discouragement and to take upon oneself all the misdeeds and suffering of beings is the bodhisattvas’ practice. Even if, influenced by pride, an equal or inferior person treats one with contempt, respectfully placing him like a guru at the crown of one’s head is the bodhisattvas’ practice. Even if someone for whom one has cared as lovingly as his own child regards one as an enemy, to cherish that person as dearly as a mother does an ailing child is the bodhisattvas’ practice. Even if, in the midst of a public gathering, someone exposes faults and speaks ill of one, humbly paying homage to that person, perceiving him as a spiritual friend, is the bodhisattvas’ practice. Even if someone broadcasts throughout the billion worlds all sorts of offensive remarks about one, speaking in turn of that person’s qualities with a loving mind is the bodhisattvas’ practice. Even if others cut off one’s head when one is utterly blameless, taking upon oneself all their negative deeds by the power of compassion is the bodhisattvas’ practice. Even if others, influenced by great desire, steal all one’s wealth or have it stolen, dedicating to them one’s body, possessions and virtues [accumulated in] the three times is the bodhisattvas’ practice. All suffering without exception comes from wishing for one’s own happiness. The perfect buddhas arise from the altruistic mind. Therefore, completely exchanging one’s own happiness for the suffering of others is the bodhisattvas’ practice. When mothers who have been kind to one since beginningless time are suffering, what is the use of one’s own happiness? Therefore, generating the mind of enlightenment in order to liberate limitless sentient beings is the bodhisattvas’ practice. The pleasure of the triple world, like a dewdrop on the tip of a blade of grass, is imperiled in a single moment. Striving for the supreme state of neverchanging liberation is the bodhisattvas’ practice. The Subduer said that all the unbearable suffering of the three lower realms is the fruition of wrongdoing. Therefore, never committing negative deeds, even at peril to one’s life, is the bodhisattvas’ practice. What worldly god, himself also bound in the prison of cyclic existence, is able to protect others? Therefore, when refuge is sought, taking refuge in the undeceiving Triple Gem is the bodhisattvas’ practice. When [sublime spiritual friends] are relied upon, one’s faults are exhausted and one’s qualities increase like the waxing moon. Cherishing sublime spiritual friends even more than one’s own body is the bodhisattvas’ practice. When [evil companions] are associated with, the three poisons increase, the activities of listening, pondering and meditation decline, and love and compassion are extinguished. Abandoning evil companions is the bodhisattvas’ practice. When harmful places are abandoned, disturbing emotions gradually diminish. Being without distraction, virtuous endeavors naturally increase. Being clear-minded, certainty in the Dharma arises. Resorting to secluded places is the bodhisattvas’ practice. 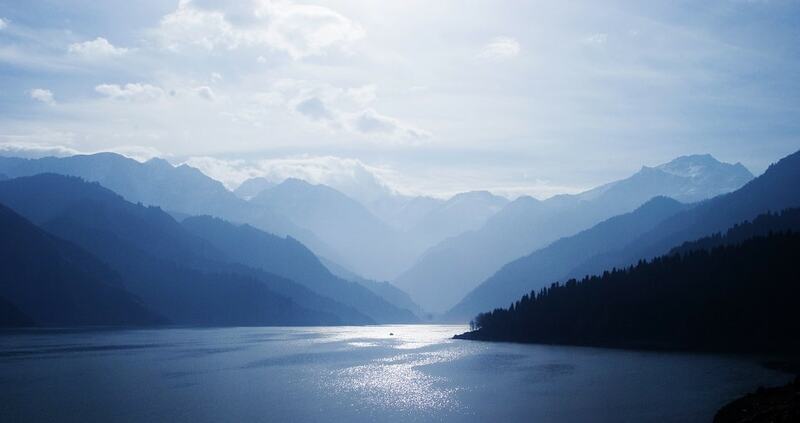 [The mind of] attachment to loved ones wavers like water. [The mind of] hatred of enemies burns like fire. [The mind of] ignorance that forgets what to adopt and what to discard is greatly obscured. Abandoning one’s fatherland is the bodhisattvas’ practice. At this time when the difficult-to-gain ship of leisure and fortune has been obtained, ceaselessly hearing, pondering and meditating day and night in order to liberate others and oneself from the ocean of cyclic existence is the bodhisattvas’ practice. 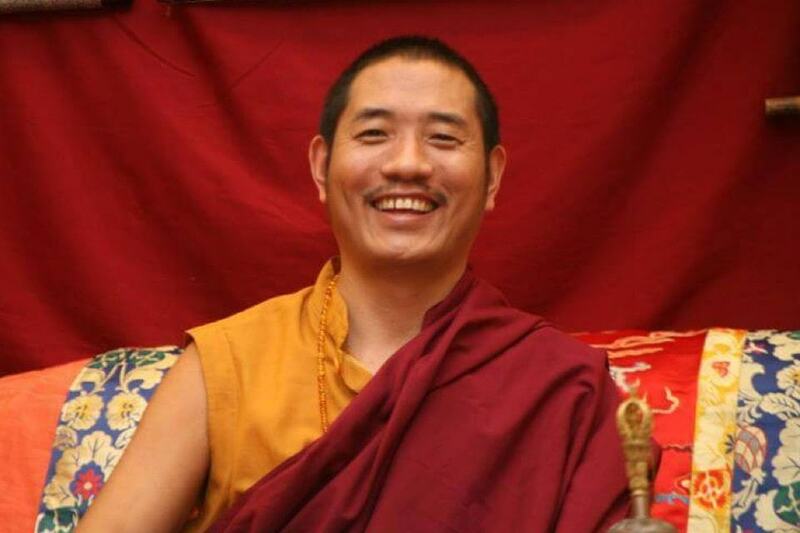 His Eminence Garchen Rinpoche is a Drikung Kagyu Lama who was known in the thirteenth century as the Siddha Gar Chodingpa, a heart disciple of Kyobpa Jigten Sumgon, the founder of the Drikung Kagyu lineage of Tibetan Buddhism. In ancient India, he had incarnated as Mahasiddha Aryadeva, the lotus-born disciple of the great Nagarjuna. In the seventh century, he was known as Lonpo Gar, the minister of the Tibetan Dharma King Songsten Gampo. Garchen Rinpoche is known for his vast realization, as well as for his great kindness. He is greatly respected and renowned as the great yogi of the modern times. This time Garchen Rinpoche’s teachings will be dedicated to Jetsun Milarepa. Jetsun Milarepa was a tantric master and a major figure in the history of the Kagyü schools of Tibetan Buddhism. He is said to be one of the greatest yogis who carried on Marpa’s transmission lineage of mahamudra and moreover to be the greatest poet of Tibet. His “hundred thousand songs” which express his life story as well as the tantric teachings in verses are renowned. When Milarepa practiced black magic, he brought deaths upon many people. His teacher Marpa caused him to remove this accumulated bad karma by working hard. Only after the consequences of Milarepa’s negative deeds were removed, Marpa granted him the special tantric teachings, that he himself had received from Naropa and other masters. Milarepa’s most famous disciples were Gampopa and Rechungpa. Ordained as monk at the age of eight, Lama Tsering received the novice ordination two years later. He completed his studies at the main monastery of the Drikung-Kagyü lineage in Dehra Dun, India. After concluding the preliminary practices of the Drikung Yangzab and the Longchen Nyingthig traditions, he received teachings on Phowa, and the Dzogchen Trekchöd and Thögal practices. In the course of a 100 day retreat (Shag gya) he practiced the Tonglen of the Six Realms. In addition, he completed the traditional three year retreat comprising the five-fold path of Mahamudra and the Six Yogas of Naropa. Subsequently, HH Chetsang Rinpoche and His Eminence Garchen Rinpoche conferred the title of a Drubpön (retreat master) upon him. On the occasion of the 10th Anniversary of our Center we invite everyone to join our collective White Tara mantra accumulation for a long and healthy life of our Precious Teacher Garchen Rinpoche. Enter your mantras into the counter window and press 'Submit' button. Please do not send more than 10,000 mantras at one time. Your amount was added, thank you! Garchen Ratnashri Center was officially registered in Kyiv on January 17, 2006 in order to fulfill a joint aspiration of H.E. Garchen Rinpoche and his students. The Center in Kyiv was the first officially registered Garchen Rinpoche’s Center in Eastern Europe. The Center is a part of global community of the Garchen Rinpoche’s Centers. All teachings and practices in our Center take part based on the program established and approved by Garchen Rinpoche for His students around the world. During the last ten years, Garchen Rinpoche visited Kyiv four times. 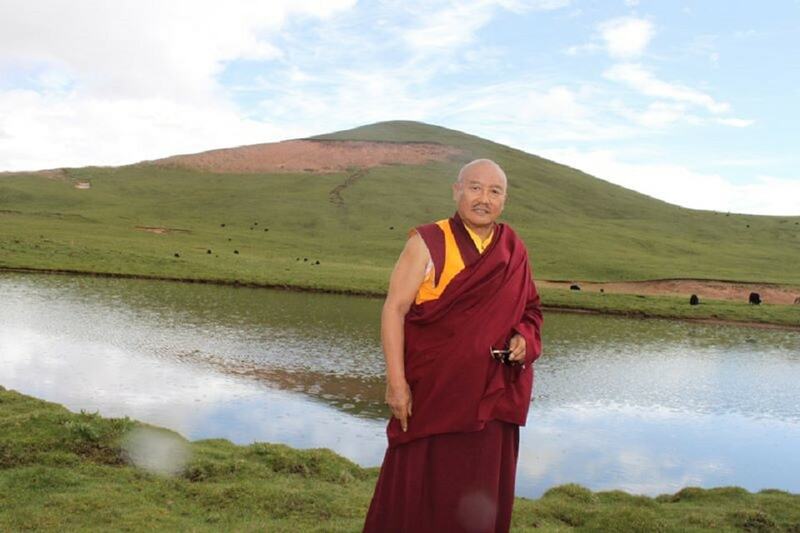 In addition, every year Rinpoche’s students attend His teachings abroad. A very important event for our Center took place in October 2014. For the first time in Ukraine Garchen Rinpoche led a Vajrakilaya Drubchen. During His visit to Kyiv in 2014, Garchen Rinpoche emphasized that thanks to the Center’s activity transmissions of all the main practices of Garchen Rinpoche’s lineage are now present in Ukraine. This is a very auspicious sign and the benefit to our country will be equally great. Many Drikung Kagyu masters and teachers has visited the Center in the past years. Among them H.E. 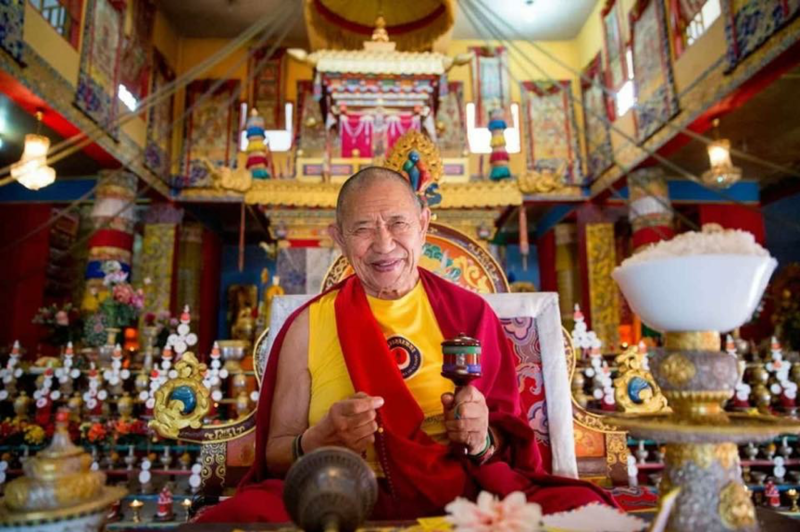 Garchen Rinpoche, Khenchen Rinpoche, Nubpa Rinpoche, Drupon Tsering Rinpoche, Drupon Yeshe Rinpoche, Drupon Tsering Rinpoche, Lama Dawa Zang, Drupon Yeshe Zangmo, Khenpo Samdrup. We sincerely hope that the blessings of H.E. Garchen Rinpoche and the Drikung Kagyu Lineage will allow our Center to benefit beings for many years to come.